Better health care begins here. Using a QualityPath hospital or clinic gives you peace of mind that the test will be done right, the first time. Just as important, our quality measures help make sure the test is necessary in the first place. Go to www.the-alliance.org/tellus to notify The Alliance when scheduling QualityPath CTs, MRIs and colonoscopies. This helps you get the full benefits of QualityPath. For CTs and MRIs, if you forget or if you don’t use the Internet, you’ll still get QualityPath’s lower price. You may, however, miss other benefits. For colonoscopies, patients must tell The Alliance at the-alliance.org/tellus or call the patient experience manager at 800.223.4139 before services are received. Both CTs and MRIs are covered at 100 percent for patients enrolled in a traditional health plan. If a repeat scan is required due to poor quality, the 30-day warranty covers the cost of the second scan at 100 percent if performed by the same QualityPath provider. The amount you pay may be different if you are in a plan with a HSA, but you’ll still get savings from QualityPath pricing. The radiation from a single CT scan is equal to 200 X-rays, according to Consumer Reports. The more radiation you are exposed to over time, the more your lifetime risk of cancer increases. Learn more about CT and MRI quality considerations. Has your doctor told you that you need a CT or an MRI? Follow this checklist to make sure you get the most out of your QualityPath benefits program. Screen for or are related to colorectal cancer screening. You must use both a doctor and a clinic or hospital that offer QualityPath colonoscopies. Without QualityPath, you might pay more for your colonoscopy if a polyp is found. In typical health plans, a colonoscopy is covered at 100 percent as a “preventive screening” unless a polyp is found. If there’s a polyp, you pay deductibles and co-pays under your standard health plan. QualityPath has no “polyp loophole.” QualityPath offers the same, higher benefit coverage to all colonoscopies that screen for or are related to colorectal cancer, even if a polyp is found. Has your doctor told you that you need a colonoscopy? Follow this checklist to make sure you get the most out of your QualityPath benefits program. 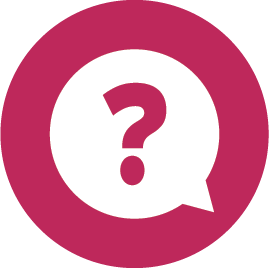 Read our FAQs or watch our tutorial video to learn more about QualityPath. If you need more information, contact Customer Service at 800.223.4139.